In HMRC v The Estate of Maureen M Vigne (deceased)  UKUT 0357, the Upper Tribunal (UT) dismissed HMRC’s appeal against the FTT decision. The FTT had applied the correct legal tests in deciding that a DIY livery business did not consist of wholly or mainly in making or holding investments. The BPR claim was upheld. Mrs Vigne carried on a DIY livery business on 30 acres of land, see FTT decision for the facts of the case. HMRC had denied a claim for IHT Business Property Relief, the executors had appealed to the FTT which allowed the claim, finding that 'in the round' there was a business, that was not wholly or mainly holding investments. The business did not also qualify for IHT Agricultural Property Relief as the ‘hayfield’ had not been used for crops in the two years preceding death. Mis-stated or placed a gloss on the statutory test and had ignored the ‘wholly or mainly’ part of the statutory provisions. Mis-applied the test in relation to the facts of the case, were similar accommodation and services provided to humans that would clearly be an investment business so it was anomalous that BPR is available merely because it was provided to horses instead. The FTT had failed to include references to ‘wholly or mainly’ in some of its various repetitions of the statutory test. When the decision was read as a whole the FTT had this requirement in mind. HMRC appeared to be suggesting that any business exploiting land should be assumed to be wholly or mainly an investment business unless the taxpayer can establish otherwise, which is an overstatement of the rules. The FTT applied the correct legal test and the conclusion it reached was one it was entitled to reach on the basis of the evidence before it. It is irrelevant whether the UT, or another panel of the FTT, might have reached a different conclusion. 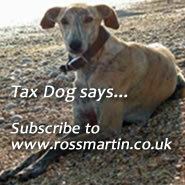 HMRC argued that horse livery was no different to holiday letting to humans. The taxpayer argued that a livery business was more like a nursery than a holiday letting. Most holiday lets don't inspect for worms many nurseries do!